Sold and last seen in France. 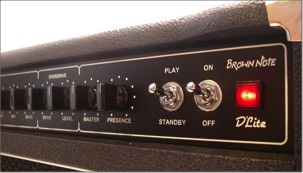 Danish manufactured, Dumble inspired cascading gain amp. 50 watts. This was Woody's first purchase in search of 'that' tone. As Woody's musical Journey progressed he began to hear players he connected stronger with. It wasn't just for their phrasing, touch, or note choices, but their tone. He discovered that many were using amps built or voiced by Alexander Dumble. 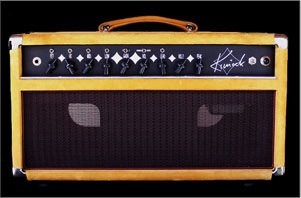 Alexander's amps are extremely rare and expensive and well outside of the reach of most players.